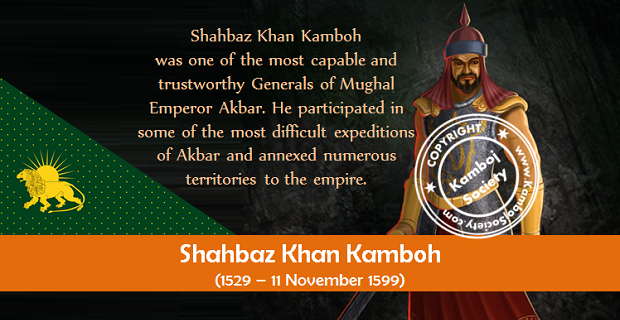 Shahbaz Khan Kamboh (1529 – 11 November 1599) was one of the most capable and trustworthy Generals of Mughal Emperor Akbar. He participated in some of the most difficult expeditions of Akbar and annexed numerous territories to the empire. He was too orthodox a Sunni Muslim for Akbar's taste, but not only was he tolerated but also was greatly valued. Shahbaz Khan's real name was Shahrullah. He is believed to have born in 1529 AD. His sixth ancestor, Haji Ismail Kamboh was a disciple of the renowned saint Bahauddin Zakariya of Multan. His fore-fathers were all celebrated for piety, asceticism and religiosity. He belonged to the Kamboh lineage whose roots are traceable to the well-known ancient Indo-Iranian or better, Iranian tribe–the Kambojas, whose name looms large in ancient Sanskrit and Pali texts as well as in king Asoka's edict records.. Shahbaz Khan had entered Mughal service during Akbar's time. The Emperor was very much impressed by his sagacity and sharpness of intellect at the very first sight and soon elevated him to the rank of Mir Tozak (Quarter-Master General) and later to an Amir (Minister). Shahbaz Khan was very capable officer and a brave soldier and had rendered meritorious service to the Mughal empire in various capacities. From a mansab of 100, he rapidly rose the number to 5000. As a Governor of Bengal, when operating in Brahmputra, Shahbaz Khan had commanded 9000 strong cavalry. He was an all-rounder officer and besides his military duties, he also helped Akbar in civil administration and financial matters. He became a very close confidant, a companion, a Mir Bakhshi (head of the military department, holding the rank of imperial minister) and a Vakil (Chief Administrator or Prime Minister) of Akbar and had acquired and exercised great powers. In 1581, when Emperor Akbar marched against Mirza Hakim to the Punjab, Shahbaz Khan came to Fatehpur and for about ten months, he took in his hands the reins of state administration in the absence of the Emperor. In 1572, General Lashkar Khan entered the royal court in a drunken state and challenged anybody to come and fight with him. His rowdy and blatant behavior annoyed His Majesty so much that he was ordered to be arrested, tied to the tail of a horse and dragged and finally thrown into the prison. He was replaced with Shahbaz Khan whom the emperor made his Mir Bakshi (Paymaster-General). The title of Shahbaz Khan was also conferred on him. As soon as Shahbaz Khan became Mir Bakshi, he introduced the Dagh-o-Mahali (a branding system) which had considerably cut down the over-heads as well as the corruption prevalent in the military departments of the kingdom. The system had been earlier in vogue during Alauddin Khilji as well as Sher Shah Suri but was discontinued during Mughal rule and was replaced with fief system which came to be badly misused by the Amirs and the officers. Under this system, the country was divided into numerous fiefs which were distributed among the Amirs. Unfortunately, they had become greedy, corrupt and oppressive and often also rebellious. Major part of the revenue was misappropriated by the fief-holders for personal use. Shahbaz Khan changed the system and handled the branding system with such a skill and competency that not only it ended the rampant corruption but also improved discipline in the military and reduced needless financial burden on the imperial treasury. But the new system had earned Shahbaz Khan the hatred of the nobles like Mirza Aziz Koka  He severely criticized the new system. In the beginning of 1576 AD, Shahbaz Khan proceeded against Kalah Rai and Mal Deo Rai, the rebel Rathod Rajputs of Jodhpur and brought them under control. He also attacked the fort of Daigur which resulted in the deaths of numerous Rathods. Shabaz Khan captured the fort of Sewana which was under possession of Raja Chander Sen, the son of Raja Mal Deo. 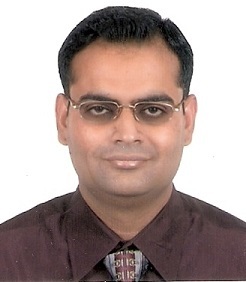 Consequently, Shahbaz Khan was appointed its commandant. In 1577 AD, Shahbaz Khan was appointed to command the force against Rana Kika (also known as Rana Pratap) of Udaipur to ravage and occupy his country. By reason of their knowledge of the country (Mewar), Akbar had also attached Raja Bhagwant Das and his son Man Singh to this force but General Shahbaz Khan refused to take them in his army unit. Shahbaz Khan laid the country waste and made Rana flee to mountains and jungles. Upon reaching the fort of Kombalmer, Shahbaz Khan laid siege to it and captured it in few days. The Rana Pratap made his escape from the fort by night in disguise. Shahbaz Khan setup 50 police posts in mountainous regions and 30 in the plains to keep control over the rebellious Rajputs. General Shahbaz Khan had nearly driven Rana Pratap from the country when he was summoned by the emperor and sent with an army to support the forces in Bengal against Arab Bahadur. When Shahbaz Khan came near to Hajipur where Arab Bahadur had taken refuge with Raja Gajpati, he marched to attack him. For one month he carried operations against him clearing away the jungle and finally drove off Arab Bahadur and made the Raja Gajpati submit. Bahadhur Khan-i-Shaibani and his brother Khan Zaman-i-Shaibani were Amir Viziers in the court of Akbar and both were holding big Jagirs, but as luck would have it, they rebelled against the emperor. With the help of Shahbaz Khan, Akbar crushed the rebellion with an iron hand. General Khan Zaman-i-Shaibani was killed in the battle but Bahadhur Khan was executed by Shahbaz Khan and Rai Bansi Das Kamboh on orders of the emperor. In 1581, when Emperor Akbar marched against Mirza Hakim to the Punjab, Shahbaz Khan came to Fatehpur and for about ten months, he took in his hands the reins of state administration in the absence of the Emperor. On 18 May 1583, Shahbaz Khan was appointed Governor of Bengal. Initially, he had commanded 5000 cavalry and had distinguished himself greatly in Bengal, but later when operating in Brahmputra, he had commanded 9000 strong cavalry. Tarsun Khan was engaged in war against Masum Khan. Shahbaz Khans's forces invested Dinajpur[disambiguation needed] and Masum Khan was thus besieged in Dinajpur[disambiguation needed]. The combined forces of Shahbaz Khan and Tarsun Khan attacked Masum Khan on November 15, 1583, but the latter fled to Bhati while Jabbari, an ally of Masum Khan, fled to Koch Bihar. Masum Khan got refuge with Isa Khan at Bhati. In 1584, Shahbaz Khan crossed Ganges near Khizirpur and seized Sonargaon and ravaged Bakatpur where Isa Khan was trenched. 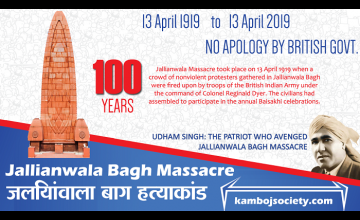 Initially he achieved a considerable success and even ravaged Katrabo, Khizirpur, Sonargaon and Egarasindur but finally suffered a defeat in the battle of Egarasindur and Bhawal. He was forced to retreat to Tandah. With reinforcements sent by Akbar, Shahbaz Khan again marched towards Bhati in 1586. Isa Khan attacked Shahbaz Khan at Bhawal (north of Dhaka) but forces of Shahbaz Khan were well fortified near Brahmaputra. Shahbaz Khan had commanded a 9000 strong cavalry at Brahmaputra. In 1585, Shahbaz Khan subdued Raja of Kukrah or Coira Orissa (Chhota Nagpur) a tributary to the Crown. According to Ai’n-i-Akbari, Kukrah or Coira Orissa was a part of Bihar Subah. Shahbaz Khan was sent to Deccan to help Murad. Shahbaz Khan reduced one Tiyuldar of Madhopur fort and obtained tribute from him. During conquest of Ahmmad Nagar, Shahbaz Khan harassed the Muslims and ravaged their houses which was greatly resented by Murad. Thereby, Shahbaz Khan left Murad without permission and reached Malwa. Akbar took away his Jagir and gave it Shah-Rukh and transferred Shahbaz Khan. In November 1586, Shahbaz Khan was again appointed Governor of Bengal in which capacity he served for two years before leaving in 1588. Shahbaz Khan was one of the best Khan best Khans during his governorship of Bangala and Orissa. Shahbaz Khan had also subdued the pride of Raja Ram Chander Sain, Rai Surjan Handa & Dauda, Farhat Khan, Raja Gajpati, Raja Sri Ram, Rana Sangram as well as the officers of Surat. He reduced Jagdenpur, Ara, Shergarh, and Rahitas etc. These conquests had greatly enhanced the prestige and status of Shahbaz Khan which were greatly appreciated by Akbar. In 1589 AD, General Shabaz Khan led an expedition from Attock against the Yousafzai Afghans and defeated and dispersed them. Shahbaz Khan had been kept in confinement for three years before he paid a fine (ransom) of seven lacs of rupees. He was set free in 1599 and appointed as the deputy to the prince Jahangir in the administration of the province of Ajmer (Malwa). 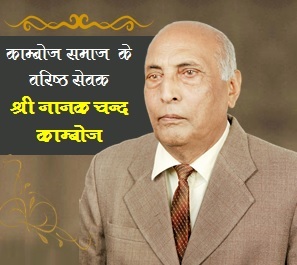 He was the General Administrator of Malwa which office he held till his death. Shahbaz Khan died of illness on 11 November 1599 at Ajmer at the age of over 70 years. Shahbaz Khan was a very able and efficient officer and his military division was always found in excellent conditions. Historian Abu-L-Fazl Alami, the author of Aiana-i-Akbari, attests that Shahbaz Khan was a very competent and capable General but Abu-L-Fazal also accuses him for his bigoted Sunni views and arrogance. Many a times, he strongly opposed the emperor, but Akbar had a great regard for Shahbaz Khan and took it lightly. The 9000 strong cavalry of General Shahbaz Khan is said to have comprised mostly the Kamboj (Kamboh) horsemen and it included both the Muslim as well as the Hindu Kamboj soldiers. He used to pay an annual salary of one lakh rupees each to ten of his officers and none (of his servants) had a subsistence-stipend less than five six thousand. The total annual expenses on his division was over 30 lakh Indian Ruppees during those times. He did not leave the Kambohs clan in the whole of India unemployed; he took all of them in his service. Shahbaz Khan was known for his generosity and liberality and the money he spent was so great that it made the people think that he had in his possession Philosopher's stone. He left behind a huge Jagir and treasure exceeding ten millions rupees and other wealth  which was seized by Jahangir, son of Emperor Akbar after his death. Shabaz Khan belonged the family whose ancestors were all celebrated for piety, asceticism and religiosity. Shahbaz Khan in early part of his life was celebrated for his religiosity till he first became deputy Kotwal of the Chabutara when he displayed his awareness of the (affairs of the) kingdom and judicious disposal of matters. Afterwards, he became Kotwal and became a favorite of His Majesty, Emperor Akbar. He was a capable officer and brave fighter and had rendered meritorious service to the state in various capacities. A leading courtier of Akbar, he was strict follower of the law of Shari’ah and profusely recited blessings on the Prophet and distributed large sum of money in charities. Every Friday, he would donate one hundred Asharfis (gold coins) in memory of Abdul-Qadir Gilani. Shahbaz Khan himself was deeply religious and pious man. He did not put on dress outside the sanction of simna (i.e. which had no sanction of the Prophet's action). He always carried a rosary in his hand, reciting all the while invocations of God's salutations on the chief of the world (prophet Muhammad) and between the evening and sunset prayers, he would sit down facing west (qibla) and offering nimaz. He did not follow other Khans as long as he was alive in shaving off his beard and drinking wine and did not have (the word) Murid on his signet. He remained steadfast in the religion of Islam and left his name in the world of generosity and religiosity. Emperor Akbar tried his best to bring General Shahbaz Khan and another General Qutb-ud-din Muhammad Khan Koka into his new faith known as Din-i-Ilahi but the move was strongly criticized by both of them. This, according to Abu-L-Fazl had created obstacles in his promotion upwards. On the other hand, many incompetent and junior officers got promoted which they did never deserve. Discovery of Pakistan: By A. Aziz. [2d Rev. Ed. ], 1964, p 71, Abdul Aziz - Pakistan. Islamic Thought and Movements in the Subcontinent, 711-1947, 1979, p 278, Syed Moinul Haq. Advanced History of Medieval India, 1995, p 376, S.R. Bakshi. Encyclopaedic Survey of Islamic Culture, 1997, p 112, Mohamed Taher. Proceedings - Indian History Congress, 1976, p 191, Indian History Congress - History; Journal of Indian History, 1976, p 372, University of Kerala Dept. of History, University of Allahabad Dept. of Modern Indian History, University of Travancore, University of Kerala. (Akbar the Great, 1962, p 357, Ashirbadi Lal Srivastava). Medieval India, 1969, p 50, Aligarh Muslim University Dept. of History. Centre of Advanced Study. Proceedings - Indian History Congress, 1977, p 350, Indian History Congress. Advanced Study in the History of Medieval India, 1981, p 226, Jaswant Lal Mehta; Origin & Development of Legal & Political System in India: Ed. H.S. Bhatia., 1976, p 79, Harbans Singh Bhatia. Nobility Under the Great Mughals: Based on Dhakh?ratul Khawan?n of Shaikh Far?d Bhakkari, 2003, p 245, Shaikh Farid Bhakkari, Ziyaud-Din A. Desai. Rise and Fall of the Mughal Empire, 1969, p 336, Mogul Empire. Encyclopaedic Survey of Islamic Culture: Growth & Development, 1998, p 112, Mohamed Taher; Medieval India: From Sultanat to the Mughals Part - II, p 126, Satish Chandra. Road to Pakistan: A Comprehensive History of the Pakistan Movement, 1947, edition 1990, p 187,Hakim Mohammad Said - Muslims. Muslim Civilizatiuon in India, New York, Columbia University Press, 1964 , XII. Religion at Akbar's Court, S. M. Ikram, (Ed) Ainslie T. Embree.